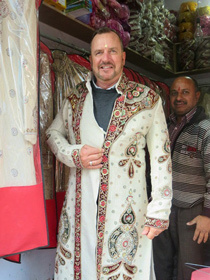 India is a country of vast contrasts and incredible diversity; a holiday in India is truly a one of a kind experience. This is a country that will inspire and shock, surprise and confront, all in one day. 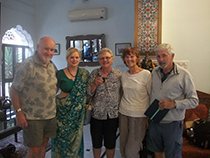 Where else can you tour some of the world’s most magnificent architectural wonders such as the Taj Mahal and Amber Fort, visit the serene beaches and cruise the tranquil backwaters of Kerala, go on safari to spot the majestic Bengal Tiger in its natural environment, visit immense desert forts and regal palaces all whilst dining on the world’s most exotic and flavoursome cuisine. The second most populous country on Earth, it is the people that are India’s heart and soul. A complex melting pot of cultures, each bringing with them their traditions, cuisine and religious beliefs, the people are what gives India its true colour and unique flavour. 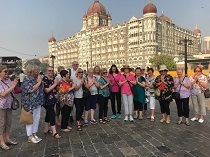 For an authentic and safe India holiday experience with your own private local guides in each location and travelling in comfort and style, experience India your way, with the leader in private Asia travel - GetAboutAsia. We also offer small group tours designed for a lower budget or solo travellers who still seek for an authentic experience! Contact your Asia Travel Expert now and create your personal itinerary! 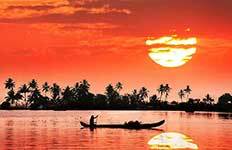 Discover the beauty and tranquillity of southern India as you tour Kerala, taking in the colonial architecture of Kochi, a wildlife adventure in Thekkady and the tropical beauty of ‘Venice of the East’ Alleppey. 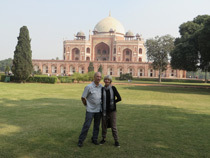 Follow the famous Golden Triangle and experience the history and beauty of Delhi, Agra and Jaipur on this compact India tour. Explore the land of the Maharajas with its mighty forts and regal palaces. Experience chaotic but beautiful ancient cities, visit majestic temples and get a glimpse of the local way of life in the harsh environs of rural Rajasthan. 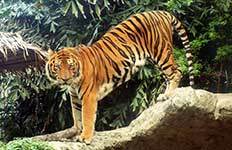 Discover some of India’s most famous national parks and its amazing wildlife. Visit the iconic Taj Mahal in Agra and the contrasting capital of Delhi. Unwind in India’s tropical south on this relaxing 11 day trip. 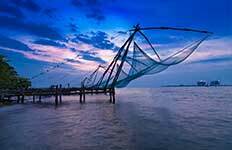 Explore mountainside tea plantations, sleepy coastal backwaters and perfect white beaches fringed with palm trees. 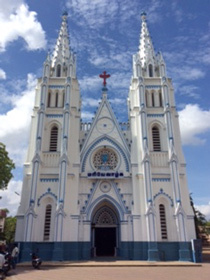 Observe a mix of the old and new India in Chennai, visit the awe-inspiring temples of Mahabalipuram and Trichy and cruise the tranquil backwaters of Kerala. Discover Old and New Delhi, hunt for Tigers on a safari adventure, witness ancient local rituals from the banks of the Ganges, marvel at the Taj Mahal and end your trip in beautiful Kerala. 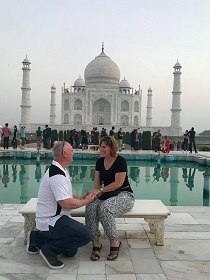 Experience ancient and modern India in Delhi, explore the “Pink City” of Jaipur and visit the unforgettable Taj Mahal on this classic 14 day trip. 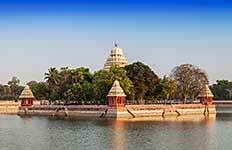 Visit India and follow the most famous Golden Triangle. 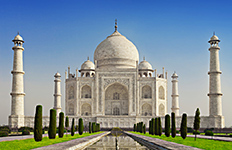 Enjoy the perfect introduction to India's three most popular destinations - Delhi, Jaipur, and Agra. 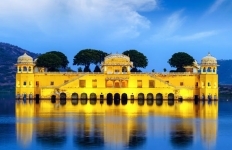 This 8 day tour will take you to the best of North India. 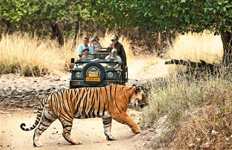 Travel in style and combine the famous Golden Triangle including Agra, Jaipur & Udaipur with a breath taking wildlife experience in the National Parks of Ranthambhore and Jawai Camp. See the sights of Old and New Delhi. Visit Humanyun’s Tomb and the Ghandi memorial at Raj Ghat. 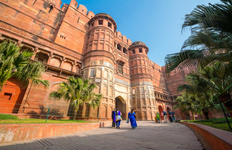 Take a day trip to Agra to take in the awe inspiring Taj Mahal and Agra Fort. Goa is world famous for its stunning beaches, Portuguese colonial architecture and it's wild party scene. Soak up the atmosphere and enjoy the food unique to this region. 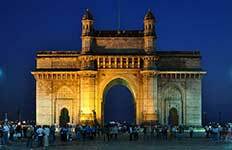 Mumbai is one of the world’s most heavily populated cities and has a very unique atmosphere and blend of cultures. Visit the Elephanta Caves, the Gateway of India and nearby Aurangabad with it’s incredible Ellora Caves. 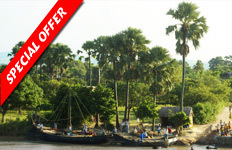 Experience India in a unique way and discover the rural area of the Brahmaputra River on a luxury cruise vessel. This amazing trip will take you to two UNESCO environmental World Heritage sites, Manas and Kaziranga National Park, hoping to spot Gangetic Dolphin, Rhinos, Tigers and more! 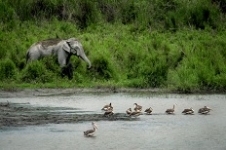 Assam is a land of Nature situated at the extreme North-East of India. 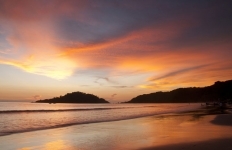 Discover its mesmerising natural beauty and rich cultural heritage with our 8-day cruise. 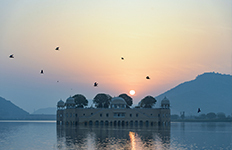 Enjoy an unforgettable experience in India with our 8-day cruise along the Lower Ganges. Discover magnificent landscapes, ancient traditions and more. 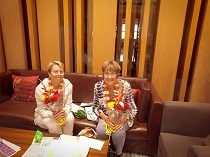 Enjoy 8 days aboard your cruise ship travelling upstream the Ganges river from Patna to Varanasi, the "City of Light". 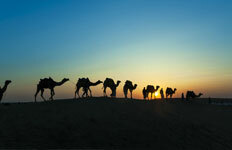 Explore history and stunning nature along the way, and be charmed by the beauty of the Ganges. Explore India’s most famous river and see the best the Upper Ganges River has to offer with our 15-day cruise. Visit wonderful mosques, palaces, temples and interact with the locals. 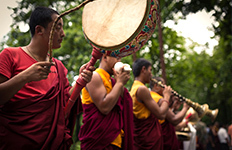 Explore the natural beauty of Assam with our 8-day itinerary cruise. Discover the mystical Brahmaputra River, one of the largest rivers in the world, and enjoy the amazing wildlife. Embark to a 9 day adventure along the Ganges River. 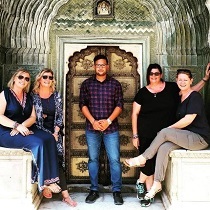 Visit different mosques, the gardens of Kushbagh, tombs and palaces, learn how to make Brass vessels and learn about the religions and traditions practiced in India. A fantastic journey for history-interested explorers. This 7 day Ganges Encompassed tour will lead you downstream the Ganges from Patna to Kolkata in West Bengal. This cruise offers a fantastic way to get to know the country and its history, with many sights to visit while enjoying a wonderful view from the water. Experience our 14 day-itinerary over two of the highest roads in the world. Get off the beaten tracks and discover spectacular views of snow-capped peaks, rugged terrain and old monasteries. 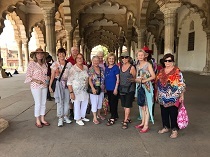 Let us take you beyond the cinema-experience and stay a night in the original Marigold Hotel and visit the cities and sites showed in the movie. 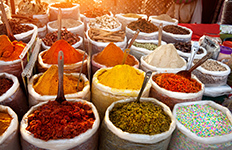 During this culinary tour of India will learn the diverse Indian cuisine of South, West, Central and East India. Immerse into the chaotic, beautiful and incredible tasty country! 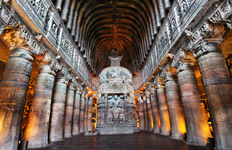 Extend your India trip with a visit to amazing Aurangabad to explore the famous Ajanta and Ellora Caves. This 9 day trip takes you through Manipur, Nagaland and Assam in the East of India. Visit the world famous Hornbill Festival in Nagaland, a celebration of mother nature and tribal gathering. 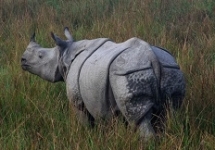 another highlight of this trip is a jeep safari and lodge stay in the Kaziranga National Park, home to a large population of rhinos and many other species. Visit the holiest Sikh city of Amritsar, explore the home city of the Dalai Lama and admire breathtaking views of snow capped peaks, rugged terrain and old monasteries in North East India. Travel from India to Nepal on an overland trip from Delhi to Kathmandu. From reminders of the Mughal dynasty in northern India to the snow-capped Himalayas of Nepal, this trip will truly inspire. 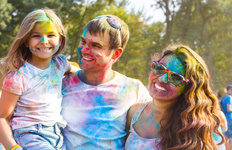 Get a taste of the wonders on offer in India and Nepal, experience Delhi, Agra, Varanasi and Jaipur and the capital of the Himalayan Kingdom of Nepal, Kathmandu.